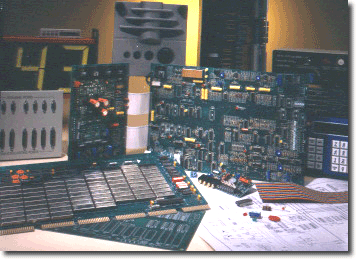 Electronic Contract Manufacturing, Engineering Services, Electronic Assemblies, Thru-hole/SMT Assemblies, Cable Assemblies, Conformal Coating, Programming, Testing. your current product, improve it, and reduce your cost. Circom's mission is to be a responsible partner helping you get quality products to your customers. Our full service capability means that the entire Circom Team is there to insure your product is manufactured to IPC standards and to your own special needs. Our engineers assist our manufacturing group to solve problems which may arise. They also aid our buyers to make component substitutions when allowed. Circom adds the knowledge gained over 35 years of diverse work experience into every operation we perform. Circom's most important asset is its staff of experienced and dedicated personnel who make our customer's needs their #1 priority.